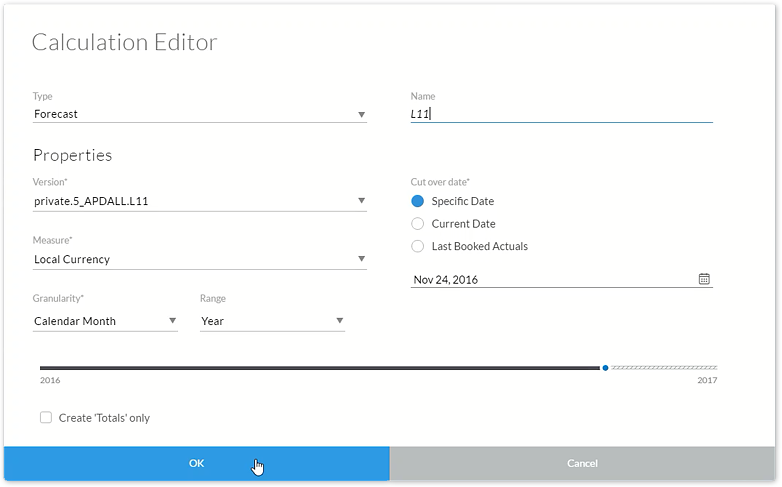 This blog covers some of the latest new features and enhancements in SAP BusinessObjects Cloud and SAP Digital Boardroom release 2016.24. Please refer to the release notes for more details. 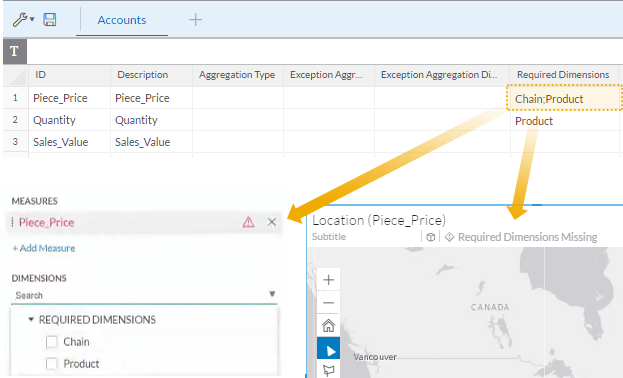 Please note the Release 2016.22 blog now has an updated section for Location Analytics: Choropleth and hierarchy support for geo models using live SAP HANA connections. Individuals and teams often need the ability to upload and work with their own data, particularly from Excel or CSV files. 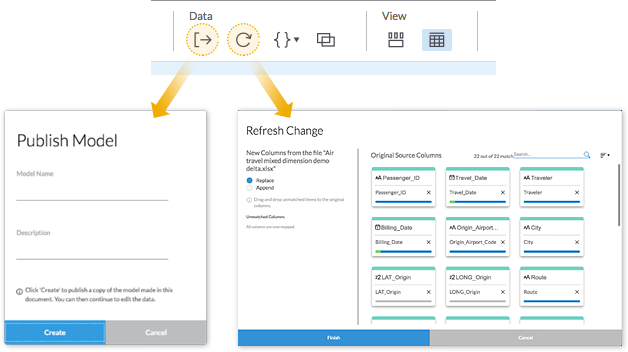 SAP BusinessObjects Cloud allows you to import a data file directly into a story, which becomes a “private” model that you can immediately begin to explore and visualize. It’s a quick and easy solution for users that need self-service capabilities, but their underlying data would remain as a private model. You can now publish a private model within a story to create a new public model (to which you can then apply access permissions). Data in private models can now be refreshed. You can do this by importing a new data file, and this data can either replace or append the data in your existing model. The “import file into story” workflow has been improved – you can now enhance your dimensions by adding a hierarchy, description, and geo-enrichment, and also enrich a Date dimension by converting it to a drillable hierarchy. As a user creating stories on enterprise data, you want to know that you are including the minimum set of dimensions that will give your visualizations the right context. For example, if you are building a chart that shows the quantity sold for your products, it would make sense to include a breakdown of your products as a dimension. Similarly, you may want to factor in the chain and product dimensions if your table is designed to show piece prices by location. In other words, certain measures should not be aggregated unless they are placed in context with certain dimensions. Now for remote HANA views, a modeler can now set certain dimensions for a measure to be required (in the new Required Dimensions column). As a result, users will be informed if those dimensions are missing from their stories and in the Explorer. Also, if not all required dimensions are in the current drill state, users are notified that the displayed numbers could be incorrect. As you can see in the screenshot above, we’ve made it easy for users to add the necessary dimensions into their charts, tables, and geo maps as well as in Explorer. Not only are they given a warning that lists all of the required dimensions, they can also quickly select them right from the very top of the dimensions list. 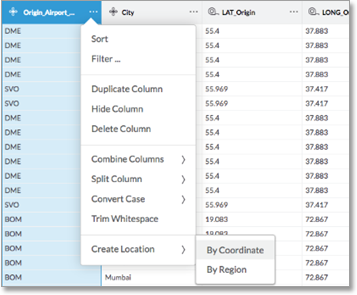 Required dimensions are supported in charts, tables, geo maps, and the Explorer. There’s more than one way to add a required dimension to your chart, table, or geo map. You can also satisfy the requirement by using a required dimension in a filter or input control, or by adding the dimension as a color. Note: If you have multiple measures with required dimensions selected in the Explorer facet panel, and then quickly deselect all of them, the Show/Hide menu may still show the required dimensions for one of the measures. Variance charts allow you to visually compare your data. You could use them, for example, to show the difference between forecast and actual sales figures. 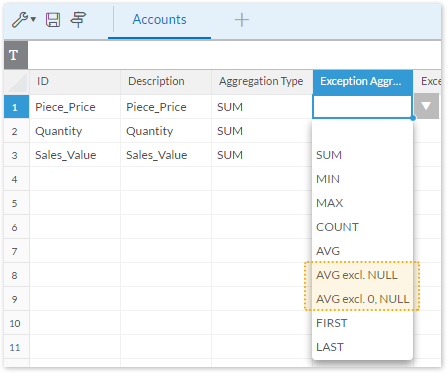 In this release, you can now add variance information in the form of data labels in your bar/column, numeric point, or waterfall charts. You can do this using the same workflow as before for adding variance. Under Display Options in the Designer, you can choose to view variance as a Data Label instead of Classic Variance. As shown in the screenshot below, you can show the difference as numeric, a percentage, or both. We’ve updated our Time Series charts to make them more readable and to give you more control over how your chart is displayed. You can now change the hierarchy to display a different granularity. Period data labels (if available) are now visible depending on the zoom level. Show/hide options have been expanded, including grid lines, legend, and data labels. On line charts and combined bar & line charts, you can now use the Avoid Repeated Data Labels option to display only the first label for each series of consecutive repeated labels. You can also change the axis line color to make it stand out more against the chart’s background color. Reference lines are used on charts to show important values like the average sales revenue of your company’s products. These reference lines can be set on a fixed or dynamic value. With Release 2016.24, you can now select calculations to use as measures when creating dynamic reference lines. Story filters allow you to apply filters for all charts in a story that are based on the same model. Page filters are similar, except applied at the page level only. When you change a story or page filter, it also filters related input controls in the same story or page and hides and disables invalid filtered values — this is what we call the cascading effect. You can see this in the screenshot below, where IPA is disabled when the cascading effect is turned on. Cascading is applied by default to story and page filters as well as input controls. Now in Release 2016.24, you can turn the cascading effect off if you don’t want changes made to a filter to affect other filters, or vice versa. Our email template for sharing story updates has been improved with a few more details to make the content more descriptive. In a table based on a model with currency conversion, you now have the option to display more than two currencies at a time in a grid. 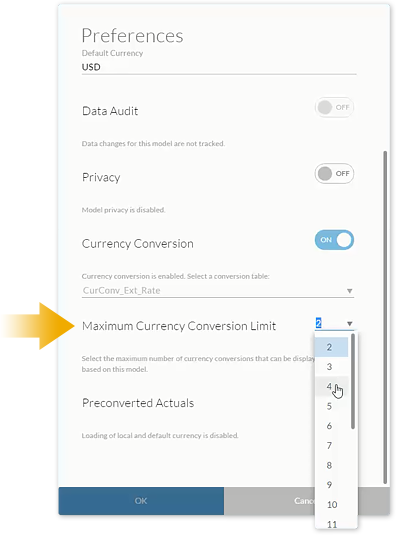 The maximum number of currencies that can be displayed is determined by the Maximum Currency Conversion Limit setting in the model preferences. The default value is 4. Please note that once you increase the limit, it is not possible to decrease it. The maximum cannot exceed the limit that is set per tenant by the system admin. The default value is 20. If you have modeling rights, you can increase the limit at model design time as well as after the model has been saved. You can now use custom calculations with the Forecast and Rolling Forecast layouts in a table. When will you release the blog for 2016.25 build? I will be posting the next update sometime in February, you will see it here as soon as it is published. Thanks for reading the blog! Does “February” mean that 2016.25 hasn’t been released yet (even though it’s now 2017)? I was starting to feel version envy when I saw the 2016.25 release notes on the SAP Help Portal, but our partner tenant is still on 2016.24.3. Apologies Dallas for any envy caused. 😉 That’s correct, 2016.25 has not yet been released though we thought the release notes would be a little bit of a heads up for everyone. My next blog here will be a sign that the next update is imminent.